Openings, then, are also an opportunity to identify surface and deep structure, and their interrelatedness. Here, the formal-textual operations play through the different repertoire of making continuity out of discontinuity while at the same time 'thickening it' by way of figuration and verbal texture. The Hollywood text is 'closed' but also 'open': there are different entry points for an audience, many of the cues are ambiguous, but it is a planned ambiguity, multi-layered and multi-levelled. But the opening can also be read as quite unambiguous, formally closed, semantically and syntactically complete - in which case it does serve as a mise-en-abime of the whole and as a miniature version of the overall design. Die Hard's opening scene, although not detachable, is nonetheless an entire story, in that the meeting of John and Holly at the Christmas party could already be the reunion and reconciliation that both partners are obviously hoping for. But if this was the ending of the story, it obviously would not be worth a movie, and on the other hand, it would not give us the 'cultural' message: that for a relation like this to come together again, both partners have to work for it. In this sense the intrusion of the terrorists is, from the point of view of the story of John and Holly McClane, only the external motivation to render inescapable the necessity for them to 'work' on their relationship. The action-adventure movie becomes the place for family-couple therapy. The point we are trying to make is threefold. One: the examples give an idea of how the signifying economy functions in classical Hollywood narrative - a relatively limited number of elements or pro-filmic events are subjected to several permutations and combinations, in order to yield complex structures, whose logic can be quite abstract. The nature of the narrative intrigue of a Hollywood film is such that in terms of motivation of the protagonists, and in terms of information about them (what is visually, verbally, or aurally introduced), the conflict and the psychology are kept simple, in order for the overall design and effect to become complex and intricate. And in the process, everything is made to count, everything is put to use. Nothing is wasted: as with a good butcher or housewife, there are few leftovers at the end of the day, or like a modern car production line, where profitability means a minimum of components, arriving just in time and capable of being assembled into several models. What the craft that goes into a Hollywood screenplay is in the service of - and justifies the many individuals who sometimes work on it - is not only the neat act division, the complication and reversals, or the tying up of loose ends, but what David Thomson, in a review of Howard Hawks's The Big Sleep, once called 'the obliging servitude of the arranged world'. Everything is constructed, created, but then seems just sufficiently dense and opaque to be experienced as 'real', seems just sufficiently 'there' to become part of a rhythm of rupture and resistance, difference and separation, in order for there to be the impression of a fit between story and 'world', and their successful narrative integration. Second: when decomposing/recombining the image material, in order to draw from it its full narrative and semiotic potential, classical cinema relies very heavily on relations of similarity and difference, by employing the rhetorical possibilities inherent in the similarity/difference axis represented by metaphor and metonymy. Some of these similarities are visual and verbal, i.e. echoes and rhymes, but others require a fair amount of abstraction in order to register. It would therefore seem that there is a kind of continuum from the perceptual to the cognitive, from the sensory to the conceptual. One cannot neatly separate what is 'out there' in the image from what goes on 'in here', the mind of the spectator. At the same time, it is always surprising to realize how much 'work' of very different kinds (textual work of scripting and mise en scène, professional expertise in staging, production values) goes into the simplest Hollywood scene. To take a moment of the textual (micro-) level: there is an apparently merely functional scene, when the cop car with A1 Powell, the patrolman, is driving up to Nakatomi Plaza after the emergency call, but fails to find anything suspicious (i.e. he is 'blind' to the real goings-on). On the soundtrack there is a reference to a blind singer, 'not Ray Charles but Stevie Wonder' - and the car's headlights are on/off depending from whose point of view they are seen, the unsuspecting Al's or the anxious McClane's. The narrative perspective, the way the scene is seen, in other words, crucially differs in each shot, and the mise en scène underscores this difference in the moral (as opposed to optical) point of view of the two characters, by introducing what to some sharp-eyed commentators, appeared to be a continuity error (the on/off headlights). But the continuity has not 'goofed', as the blooper sheet has it (see http://us.imdb.com/Goofs?0095016 listing the continuity errors in Die Hard). Rather, the director seems to have taken - perhaps surprisingly for a mainstream Hollywood film, but these moments in the past were the delight of mise en scène or auteurist critics - some liberties with plausibility, for the sake of added psychological depth and narrational involvement. Third: this 'work' on the surface texture and the narrative-thematic context of a film is, however, not quite the 'work' we alluded to earlier on, whether we call it 'dream-work' after Freud or 'ideological', 'textual' work and 'problemsolving' after culturalist, post-structuralist, and cognitivist critics. What we identified as the level of abstraction produced in the opening scene of Die Hard is the 'work' of repetition, with specific gestures or actions repeating themselves to generate a concept, which is to say, a relation imbued with meaning. It is at this point that the 'work' we are trying to identify goes beyond a purely binary structure of oppositions and can be cast in the form of a syllogism of the kind identified above with Greimas's semiotic square. [Position (Si)] is the nameable yet never represented space of 'the Wild' -the place the white protagonist has come from before he lands in LA, be it Viet Nam (in Lethal Weapon) or, in Die Hard, that other well-known symbol of multiracial rot and riot, New York. The Other, or [S2] of this space would then clearly be 'Domesticity,' the site of (heterosexual) life and family life. The Opposite [-S1] in these films must be the place of Business or professional-technical work. And finally, filling the place of [-S2], functioning as the inverse of the nurturant realm of hearth and home, we find the official space of law, authority, and order, i.e., the State. Around this Greimasian analysis, we could also establish for Die Hard a slightly different system of semiotic constraints, constructed as the (cultural, ideological) incompatibilities of home and office, subtended by the (natural, cultural) difference between male and female. Although it broadly comes to the same conclusions, it would help us grasp one of the turning points of the story, namely the moment where McClane is closest to giving up, thinking he is about to die, while asking Al to tell Holly that he is sorry for how he behaved. The significance of this scene at the level of cultural contradiction is that McClane's situation here most exactly promises the structural resolution to the initial problem, namely that of Holly as a 'working mother'. He has become a 'feminized male', whose body bears the marks of femininity (connoted by his bleeding feet, to which the film has given a gender connotation - see below), whose interpersonal situation is emotional dependence (on Al, the cuddly desk cop, coded as a non-phallic male) and whose subjective state is his readiness to apologize (again, culturally coded as unmasculine). At the level of the Oedipal deep structure, it is the moment where he 'accepts castration', but at the ideological level, it would be the end of patriarchal disavowal of castration, while on the level of the action/rational agent logic it is the moment of greatest danger and imminent death. 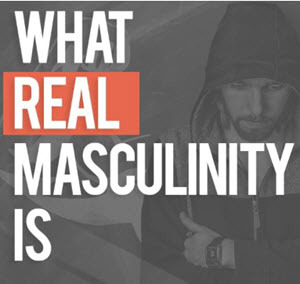 Thus, the narrative has to invent an escape for McClane, thereby also initiating a gradual climb back to phallic masculinity and a reclaiming of patriarchal values, towards the finally reassertion of an apparently unreconstructed macho identity. The Greimasian model thus allows us to trace more precisely the semantic/logical operations that make the ideological work possible and - an important point - pleasurable to that part of the audience that unconsciously identifies with McClane's anxiety and consciously wants to emulate his cocky masculinity.